 Doctor Who Scarf recreation page. 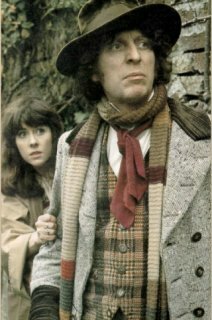 I am creating this page because of the many questions people have about the Tom Baker scarves. And it is an attempt to archive all the different types of scarves used and the colors. At first I thought that only 1 long scarf was used on the show however I have found that many different scarves were used of different lengths and colors. 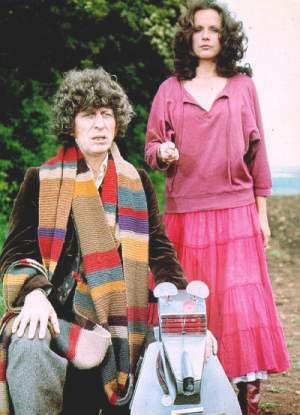 First one must understand that Dr Who was a British TV show that was filmed in the PAL color tv format. When it was sold in the US it was converted to NTSC. This conversion is not always good on the color and results in color shifts and washed out colors. One can see this by compairing snapshots with screenshots. I scanned the scarf on the left from a tape the one on the right is from a snapshot. "The Pyramids of Mars" and you can see that the colors do not look the same. Because of this color shifting people often disagree about the colors used in the scarves. Many different lengths of scarves were used on the show. 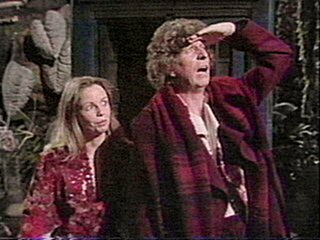 But by estimating Tom Bakers height and how many times he wraps it around his neck one can just about tell how long it is. Scarf Colors and app sizes.. It is the long version. Shorter versions of the same colors were used in other shows.. I got this off the net it was clearly scanned in from a photo. I have enhanced and cleared it up. It shows a different scarf and you can tell it is very long. Tv Capture from "The Deadly Assassin"
The photo is from the Seads of Doom. This is a capture of the red scarf I got off the net. No one knows the true colors of this scarf some say it is has Black in it some say it has a Plumb in it. But it is clearly has of red , wine and some dark color.. This is a photos white scarf. It is also very long.. This scarf was about 14 feet in length! 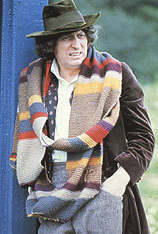 The scarf had several incarnations: by Season 13, the scarf had seen some damage and was now about 12 feet in length. 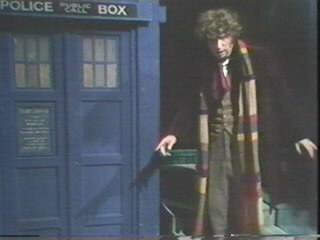 Season 14 saw the use of a new scarf, quite shorter than the original, at around 10.5 feet. Season 15 saw the use of the Season 14 scarf as well as a new 17 foot scarf! 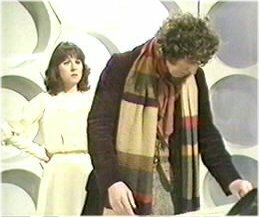 Seasons 16 and 17 saw a return to the original scarf, albeit with alterations, and with the Season 14 scarf attached to it - resulting in a 20 foot scarf! Season 18 unveiled a completely different scarf altogether. 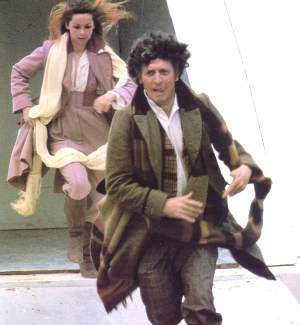 Made of burgundy and wine chenille, it was also about the same length as the original striped scarf was in Season 12. 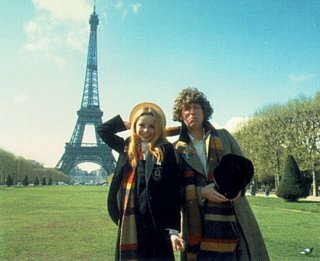 So when creating your own Doctor Who Scarf you have to decide do you want a scarf that looks like the one worn on the show or do you want one has the true colors. One note about the patterns many have found on the net. Most all I have seen are clearly wrong. Even the one that claims to be an official BBC pattern does not have the colors shown in the above photos.